Yesterday the Environment Secretary met with members of the National Farmers Union’s Next Generation Forum to discuss their hopes and aspirations for agriculture outside the EU. Taking ownership of an agricultural policy is the biggest opportunity that British farming has had for more than four decades. 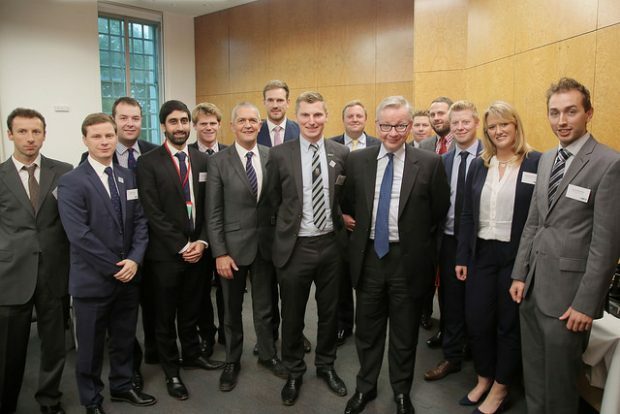 Discussing this with Michael Gove was an opportunity that the NFU Next Generation forum relished. What we outline in the latest report on a framework for success is our ambitions for where the nation needs farming to be in order to deliver more high quality British food to citizens, care for our countryside and contribute to the economy. I was delighted to meet members of the NFU’s Next Generation Forum yesterday, as an organisation who play an incredibly valuable role in helping us develop future agricultural policy. I am determined to do all I can to help our farmers take full advantage of the opportunities that lie ahead and I look forward to working closely with the NFU and all our young farmers as we develop a bold new approach outside the EU. The global impact of pollution on people’s health and the environment was covered widely by national media today following a report from medical journal The Lancet. The Lancet Commission on pollution and health found that outdoor and indoor air pollution, water and soil contamination and chemical pollutants was one of the largest risk factors for premature death. This was covered by The Guardian, Independent, and Sun as well as featured on BBC Breakfast news and Good Morning Britain. In the UK, action is already being taken to tackle poor air quality and in July Defra and the Department for Transport published The UK Plan for Tackling Roadside Nitrogen Dioxide Concentrations. We have put in place a £3 billion plan to improve air quality and reduce harmful emissions. We will also end the sale of new diesel and petrol cars by 2040, and next year we will publish a comprehensive Clean Air Strategy which will set out further steps to tackle air pollution. We now have an opportunity to deliver a Green Brexit and improve environmental standards as we leave the EU. With strong winds set to hit the southern coastlines this weekend, the Environment Agency has ramped up activity to prepare for possible coastal flooding. Officers are closely monitoring the situation and flood warnings and alerts will be issued as necessary. Teams are also out in coastal towns checking and clearing flood defences and supporting and advising local councils and resident groups. Local and national communication teams are also warning local people to be vigilant and to keep updated on flood risk online. As always, personal safety is paramount, and teams are also warning against driving through flood water and taking risky ‘storm selfies’. Strong winds are expected across southern England on Friday night and into Saturday. Some coastal flooding is possible along the south and south-west coasts of England, especially around high tide, with large waves, spray and some overtopping of coastal defences. 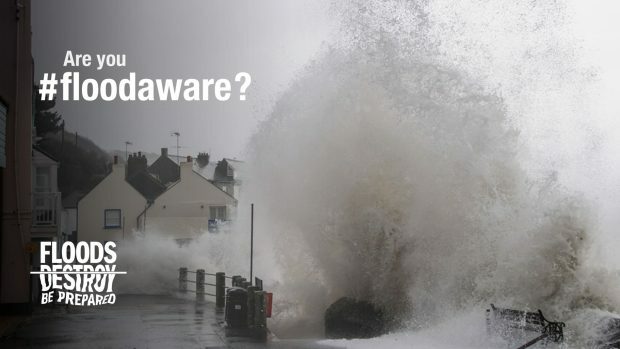 We urge people to stay safe along the coast and warn against putting yourself in unnecessary danger by taking ‘storm selfies’ or driving through flood water – just 30cm is enough to move your car. Environment Agency teams are on the ground checking defences and taking precautionary measures such as closing tidal gates and putting up temporary barriers. We’re working with partners including the Met Office and local authorities to monitor the situation and are ready to respond as necessary. Where necessary we will issue flood warnings and alerts. You can check whether you’re affected at www.gov.uk/flood. These are updated every 15 minutes and we will issue further alerts and warnings as needed, you can sign up to receive alerts and warnings for free by calling 0345 988 1188. Environment Minister Thérèse Coffey has been out and about in North Wales today to hear from some of the best and brightest on their aspirations for the forestry sector. While at Bangor University – the first university in the UK to teach forestry – the Minister heard about the courses on offer and huge growth in new students studying forestry – with the university’s intake for forestry degrees this year up by more than 100 per cent on last year. The Minister also spoke with recent graduates about how the industry can continue to attract new talent, with many having gone on to varied roles in community woodland management, local government, and organisations like the National Trust. A thriving forestry sector is a vital part of a healthy environment, and it has been great to see the level of talent, ambition and enthusiasm this industry is attracting while at Bangor University today. Following her visit the Minister also held an environment roundtable with Welsh stakeholders. As we move towards delivering a Green Brexit we will continue to work closely with our counterparts in Wales and across the UK.